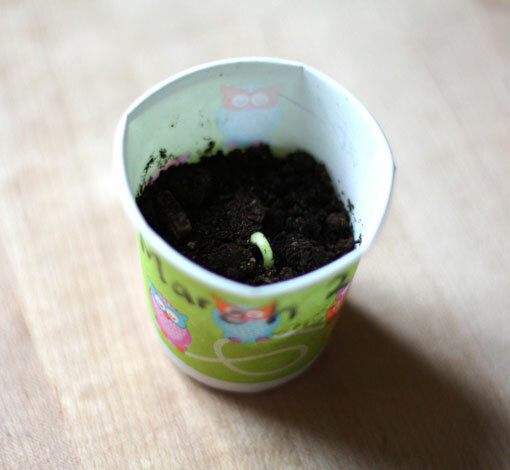 A few weeks ago my 4 year old brought home a tiny paper cup filled with soil. He told me that they had planted seeds at school as a part of some Earth Day activities, and that we needed to give the cup sun and water to help the seed grow. I put the cup in our kitchen window and together we’ve been remembering to give it water, and check in on it. I honestly didn’t think much about this at the time, but then I noticed the seed had started to sprout, and after this hard, miserable winter, it made me smile. I’m an avid gardener, so it’s not like this is the first time I’ve watched something grow, but this isn’t really just about a growing plant. It’s a reminder. Every change, and every idea starts off as a tiny seed, no matter how big they wind up being. In order to create change within ourselves we must nurture these seeds to help them grow. If you’re trying to make lasting changes in your life, don’t discount the impact that a small shift can have. Focus on it. Feed it. Encourage it. Help your garden grow, and as one seed sprouts roots, grows a tiny plant, and gets bigger and stronger it will eventually spread seeds of its own. That’s how it works with creating new habits. It’s ok to start with something that seems small, or simple, because you build on it and it encourages more change. So this week, why not use the slightly warmer weather as encouragement to do something good for your body like eat a few more salads? 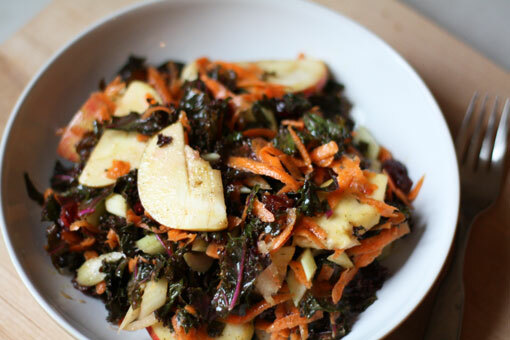 As I shake off my winter layers I find myself craving raw veggies again and I’m going to share one of my favourite ways to build a kale salad. Make the dressing - Put all ingredients into a bowl with high sides or a large mixing cup and blend with your hand blender (immersion blender) until smooth. 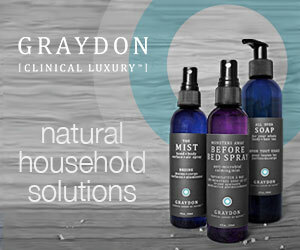 Store in a glass container in the fridge and shake well before using. Massage some of it into the raw, chopped kale, coating the leaves well, and let it sit for a few minutes while you prep the other ingredients. Make the salad – Add all your other chopped ingredients and mix well. From here you can serve the salad as a side dish, or with some meat or fish as the main meal. Toss it with some cooked chickpeas or lentils for a heartier meatless salad main. The leftovers keep well for a few days in the fridge and I often eat a lunch salad topped with toasted seeds, hemp hearts, and/or a boiled egg. It’s also great with a little feta added to it. Use your imagination and go wild! You can use up the remaining dressing by tossing it with leafy mixed greens, or even drizzling it over slightly cooled, roasted veggies which you can mix with anything from leafy greens, or a cooked grain for a heartier salad. It keeps for about 1 week. So, what seed will you plant this week? Start with one, and help it grow!